This paddle game is very similar to Speedminton and Badminton but easier for kids because of the shorter handles. 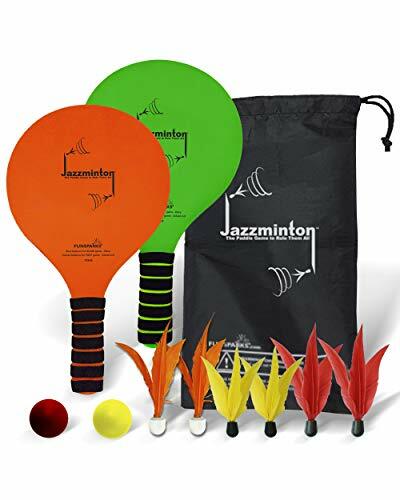 Funsparks Jazzminton Deluxe 3 in 1 the most variable indoor or outdoor game paddle ball set on the market including 2 high grade fluorescent plywood paddles with comfortable foam grips, 6 birdies (2 red for a slow pace of play, 2 yellow for a faster pace and 2 LED birdies for evening play) 2 balls that can be played even in windy conditions and a reusable bag to carry all the pieces. The feathers are attached using a special water-resistant glue to ensure play by the beach, pool or in the rain. This game is excellent for beginners or veterans alike as you can play fast or slow, with choice of a variety of birdies. 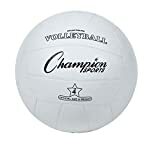 Rally back and forth or set and spike your way to a competitive game, no matter what this game is loads of fun for all ages. -30 days no-questions-asked free returns. If you have any further questions about the product, please ask through our Amazon Funsparks storefront “Ask A Question” and we’ll be happy to answer.